I’ll bet you all could guess for the next 15 minutes and not figure out what the answer is to the question — What is the most common sewing machine repair problem? My husband was a sewing machine repairman for over 30 years, and by far the most common repair problem was ……… the needle put in backwards! I know you all probably think this is hogwash, but is actually true. Sometimes there were children learning how to sew that just didn’t know how to put the needle in, OR somebody in too big a hurry to get a project completed and put the needle in wrong. I did that myself ONCE when I was trying to work warp speed to get a couple projects completed. When I called my husband in to check out the hopeless mess the knotted thread was – the first thing he did was take out the needle, put it in right, and commented, “YOU of all people should have known better than to do this!” Like I said I only did it ONCE, and learned my lesson. There are other small things the machines will do that you have to keep an eye on. For example, my machine appears to have a real dislike for sewing velcro – the rough part. The thread keeps popping out of the little hook that directs the thread down to the needle. I have no earthly idea why it does this, but does it only when sewing velcro. After the first couple of times of getting the thread knotted up, I’ve learned to keep one eye on the fabric/velcro and the other eye on the little hook to see if the thread has popped out so I can get it back in line and continue sewing. The “Sewing Machine Repair for the Home Sewer” is a perfect book to get you through the many problems that can occur, and keep your machine out of the repair shop. This book goes through many problem/solution scenerios such as thread knotting in the bobbon area or on the fabric under the presser foot, in addition to teaching you how to “time” your machine and even shows you how to take apart the tension and put it back together again. If you’re like me, I just can’t do without my machine, and anything I can do to keep it out of the repair shop (and those super high repair prices! ), the happier I am! Check out the Sewing Machine Repair for the Home Sewer book and the do-it-yourself information it contains! I usually start my annual Holiday gift giving list the first part of October, so I’m a bit late, but not so much that I’ll be in a rush. I’ve accumulated a few hints to help you prepare for YOUR Holiday giving — saving you some money and at the same time being more certain to give the right gifts to each person (I certainly don’t like the idea of giving those “white elephant” gifts that immediately go into a stack of “returns”). ** Make a list of every person you’ll be giving a gift to — friends, relatives, teachers, children’s friends, office mates, etc. ** Try to think about something each person enjoys — a special hobby, their favorite sports team, color schemes in friends’ homes — and write that next to each name. ** Decide which people on the list you can “make” something for and those that will require you to “buy” something. For those on the “buy” list, you can be on the look-out for sales that will certainly be starting very soon. If a camera is at the top of somebody’s want list — you can be scouring the sale papers for the best deal — getting the best deal for the person and probably saving you a bundle at the same time. ** For those you can “make” something for — would it be a sewing project, a knitted item, kitchen aprons? There are many tutorials all over the internet, as well as patterns available for just about anything you’d want to make. Check out Patterns2Go for dozens of items you can make. Many times there are certain craft/sewing books that those on your list would be very happy to receive. 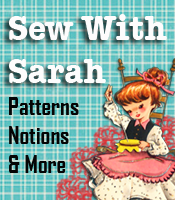 You might check out the SewMachineRepair website for books for those on your list that do a lot of sewing or crafting. Do you have family/friends that are major couponers? I’m sure the gift they’d love above all things is the “designer tote” coupon clutch for carrying/organizing their coupon stash. ** I like to personalize each gift according to the receivers’ own tastes — this takes a little bit of thinking in order to get the perfect gift, but the time you spend in getting the list organized is well worth the time, and in the end actually SAVES you time during the shopping or “making” process. ** By making your holiday gift list EARLY, there’s much less chance that you’ll forget anyone! Have you ever started wrapping gifts a couple days before Christmas and somebody’s name flashed through your head — one of the MAIN ones you wanted to get a gift for and because you’d gotten in a “last minute hurry” forgot to get them a gift? To tell you the truth, I don’t know how I’d survive without my list!! Do you have any other hints or tips you’d like to pass along? We always like to share the tips our readers have. Most of us that are in some type of sewing or crafting business ship orders of some kind to customers around the country. What method of shipping do you use? Have you ever compared the costs of the various shipping companies to see where you could get the best deal? I’m kind of a “stuck in a rut” type of person, and for over 10-15 years now we’ve been shipping our pattern making books and our sewing machine/serger repair books through the regular U.S. Postal Service. Well, with the advent of the coupon clutches, shipping took on a whole new meaning — the sewing machine repair books and pattern making books were all mailed “media” mail, which ran between $2.40 – $2.60 each depending on the weight. The Coupon Clutch, because of the size and weight have to be shipped in the medium size flat rate priority mail postal service box, which costs us $10.50 if the label is made online ($10.95 if metered at the post office). The priority mail flat rate box says 2-3 day delivery – anywhere in the country for the same $10.50 and they also have a delivery confirmation (tracking number) in case that’s needed. We do charge our customers $10.00 for shipping the coupon clutch, then just “eat” the remaining amount — but the point here is that you need to check out all the alternatives and see what is the best deal for you and for your customers. I’m sorry, Denise, but I’m back in my “U.S. Postal Service rut”, and looks like that’s where we’re going to stay. Last week we did a discussion on why guest bloggers could be important to your blog, as well as why YOU could be important to other bloggers in the role of “guest blogger”. Today I’d like to go over a few pointers on how to choose the RIGHT guest blogger. ** The first thing you want to make very clear to your potential guest blogger is that they MUST be reliable. After all, if you’re counting on them to do a guest post in your absence, you certainly don’t want that spot to be empty because the guest blogger fell down on the job! You could do an initial guest post spot with that person while you’re still in town and available – then give them a deadline to get the post to you (the initial “trial” post) just to be sure they actually follow through with what was agreed upon. ** Ask for a “sample” post from the potential guest blogger. By asking for a sample post, you can evaluate their style of writing as well as being able to check for grammer issues. If their style of writing is similar to yours, or is something you wouldn’t mind adding to your blog, then this part of the screening process has passed. ** Keep in mind that just because you “speak” in a certain way (or write in a specific way), doesn’t mean that guest bloggers can’t be a little “different” in what they write. That little bit of “difference” in writing style or verbage can actually help keep your blog interesting and will be considered “fresh” content. ** There are many blogs that have several contributing writers, so if you’re feeling like you’re being pressured by “needing” to do several posts a day, or several more per week than you can keep up on, perhaps a friend would like to join in with you and do two or more posts per week. By “sharing” the post writing, you can each “do your own thing” for the blog and it could end up being easier on you, the owner of the blog, and something your “guest” can look forward to doing.